CSULB BESST Students Visit SCE's GridTech Labs. SCE Director of Grid Technology and Modernization, Vibhu Kaushik, and SCE engineer Renee Cinar, engage the BESST students in discussion. SCE summer interns, Nikki Gmerek, Jordan Rickards and Juan Acosta-Bejar, answer students' questions. Kathleen and 59 fellow students are part of the Beach Engineering Student Success Team at the college. BESST, a recipient of an SCE STEM (science, technology, engineering or math) grant, provides incoming engineering students — particularly first-generation and underrepresented students — with a one-week orientation program that helps them meet academic challenges while building a support community. 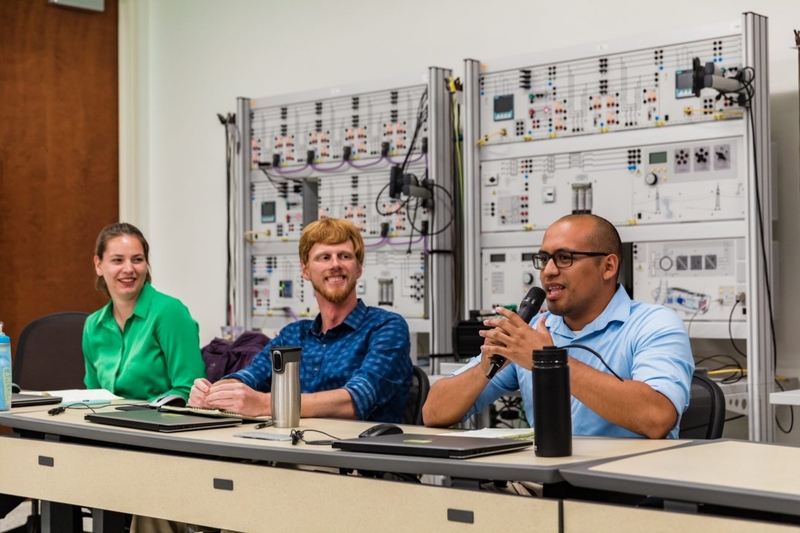 At GridTech Labs, the students were part of a Q&A session with SCE engineering interns. These interns, students themselves, shared what it is like to be a new engineering student, to have a prestigious internship and to see the end of their studies in sight. A recurring theme was how difficult, yet rewarding, the process of learning engineering can be. Intern Nikki Gmerek, a fifth-year student in electrical engineering at Cal Poly, San Luis Obispo, talked about failing a semester her freshman year, and about applying to 43 internships before she got her internship at SCE. “Rejection can be hard to handle, but [Nikki] was able to get a good internship. This was inspiring for me,” said Melissa. 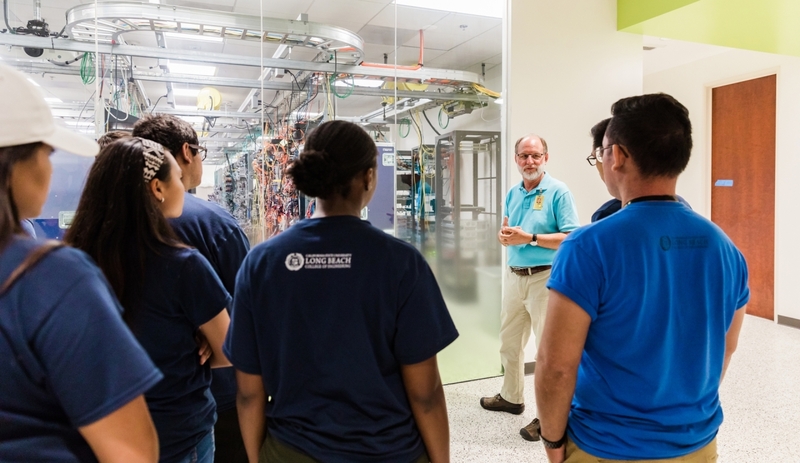 The students also toured the GridTech Labs and learned about the huge modeling computers that help research engineers understand how to modernize the grid to integrate renewable energy. SCE engineer Renee Cinar, who organized the event, is one of many engineers who started at the company as an intern. See SCE engineering internships and jobs for more information.